Maurice, Salem, Cohansey. 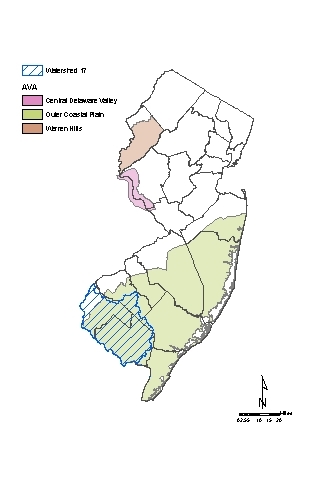 Located in southern New Jersey, within parts of Atlantic, Cape May, Cumberland, Gloucester, and Salem counties. The majority of the WMA falls within the Outer Coastal Plain AVA.